Armets move slowly but have a tough shell, so they take a few hits to kill. Urchins are just like Pinballs. The Froppa jumps out of the water(or lava), hops around, and then hops back into the water. The Fuzz doesn't hurt you, it just jynxes you(like in zelda), making you unable to use your weapon for a short time or until you exit the room. Munchers walk around biting. They take a few hits to kill. Rockies are invisible as they charge at you. When they hit a wall they'll appear for a moment(this is when you can hit them), then they'll dissapear again while firing stones in several directions. These guys only look like Rocky. A few hits and this slow-moving rockman will be dead. 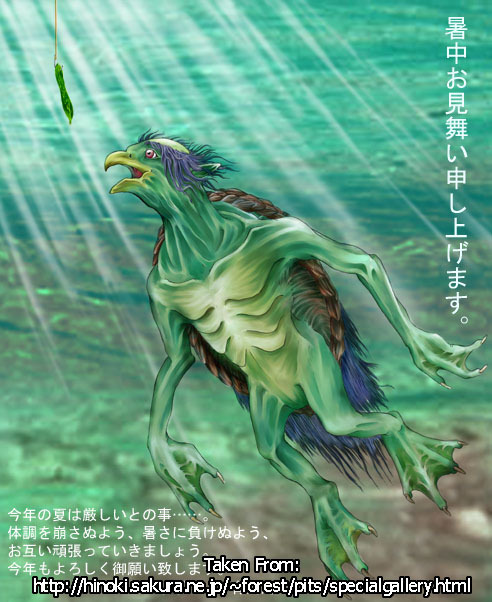 The Froppa enemy is actually a mythological Japanese creature called a Kappa.